Sav Killz is one of the hardest working hustlers in the rap game. Not only is he an inspiration, but his albums represent something that not many people talk about. Perseverance and “still determined” are words that come to mind. 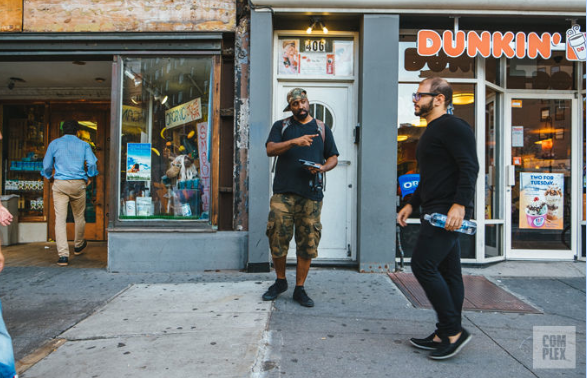 Complex did a whole write up on him and Creature, who have been hustling cds in the street of NYC, making money all day off hip hop! Have you ever been told NO 50+ times a day? It is a tough job. I dare you to go out and do that. Not only are they talented, but it takes real skin to feel the pain of NO. That why you have to give these guys a YES when you see them. Besides that, acknowledge the fact that his rhymes and beats are dope and he has tracks with legends. Check out his article in Complex and buy his new album, immovable kings! I am on it!! Peep them on Hot 97 w/ DJ Peter Rosenberg.